Before you can get started registering your music with the Copyright Office, you will want to first understand how the Copyright Law protects musicians. Essentially, the office considers a musical composition to be any musical work, including the music itself plus any accompanying lyrics. In other words, the Copyright Act protects your music from others who might try to claim it as their own. 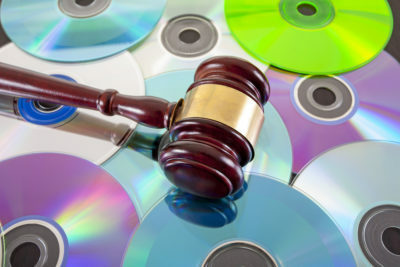 It enables the owner of the rights to the music the ability to make copies of the music, prepare derivative works (such as translations of the lyrics into other languages, remixes of the music, and more), sell copies of the music, distribute the music, perform it live, and display it in the public. This also means that other people will not be able to do any of the above without your permission, consent or procuring a license. One important way that you can protect your music is to officially register it with the US Copyright Office. In order to do this, you should visit the Copyright.Gov page and navigate to “Register a Copyright”. From there, you will click “Performing Arts” where you will be taken to this page. There’s a lot of content on this page and you should take the time reading these resources so you can familiarize yourself with the process. You will need to pay a fee to complete this process, but it is well worth it because it is the best way to insure that your interests are protected. This information is the basic rundown of what the law means for you. This document goes into a lot more detail because Copyright Law can be complex. Also, if you are serious about your music, you should be in contact with a lawyer who specializes in Copyright Law. That way, you can make sure that you do everything you can to protect your interests as an artist. Besides contacting a lawyer, you can also get in touch with us and we can answer any questions you might have and point you in the right direction.